This is it, the race we have all been waiting for! The 2013 IHRA Summit Racing Equipment World Finals weekend is set for October 11-12 at Memphis International Raceway and will include only the best-of-the-best from the 2013 IHRA drag racing season. The invitation-only weekend will feature two major races – the Summit Racing Equipment Tournament of Champions and Summit SuperSeries – in addition to a Nitro Jam professional show Friday and Saturday night. There are no open fields at this year’s World Finals. Racers have worked hard all year to make it to Memphis to compete for one of 10 IHRA World Championships in Top Sportsman, Top Dragster, Super Stock, Stock, Quick Rod, Super Rod, Hot Rod, Top ET, Mod ET and Junior Dragster. Racing will take place Saturday with the 2013 IHRA world championships to be crowned under the lights during the Saturday night Nitro Jam show in front of the massive MIR crowds. Additionally, all Summit Tournament of Champions and Summit SuperSeries points fund money will be paid out on site. 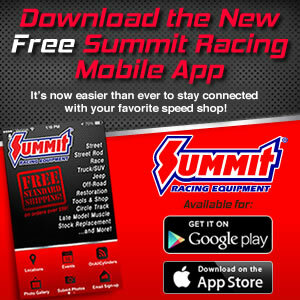 If you finish third through 10th in national points during the Summit Tournament of Champions or third through 16th in the Summit SuperSeries, you will be able to pick up your money and awards approximately 45 minutes after the round has ended at the large tent on the pit side of the track. Good luck to all 2013 qualifiers and we will see you in Memphis!